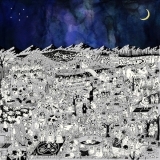 "Give me peace and chemicals, I want to run into"
Pure Comedy is ranked 2nd best out of 4 albums by Father John Misty on BestEverAlbums.com. The best album by Father John Misty is I Love You, Honeybear which is ranked number 393 in the list of all-time albums with a total rank score of 6,812. Members who like this album also like: To Pimp A Butterfly by Kendrick Lamar, A Moon Shaped Pool by Radiohead and Lonerism by Tame Impala. Cal Coast Credit Union Open Air The, San Diego, United States. Santa Barbara Bowl, Santa Barbara, United States. Greek Theatre-U.C. Berkeley, Berkeley, United States. 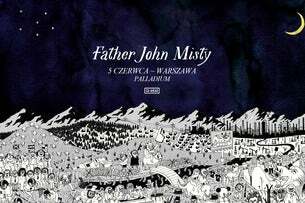 Related links: top tracks by Father John Mistytop tracks of the 2010s, top tracks of 2017. Showing latest 5 ratings for this album. | Show all 468 ratings for this album. Related links: top albums of the 2010s, top albums of 2017. I don't want to be mean, but if you call the writing on this album bad you might need your head checked. Political commentary hasn't been this good since TPAB. It's funny, cutting, self-aware, and postmodern. What more could you want from FJM? Pretentious seems like a based criticism, but he's always self-aware, negating that argument. Smoochie and Two Wildly Different Perspectives don't belong here, but the rest is a high water mark in 2010's folk ambition and execution. This'll be a stone-cold classic in about 15 years. When a 70+ minute album doesn't get you bored/tired/anxious, it means the artist did a great job. Congrats, Padre Juan Brumoso. 8/10. Well written cynicism mixes with standard piano play to make a strange combination of interesting and dull. I'm a big fan of Father John Misty and I Love You, Honeybear is one of my favourite albums from the 2010s. The issue with this album is its inconsistency: the title track is great, as is Total Entertainment Forever (along with a few others), but there are so many songs which are uninteresting and boring to me. I'm really interested to hear what FJM has to say next though, he is a very talented musician. I came back to this album recently after initially being incredibly turned off by the last three-quarters of it. The first four tracks are all great, prime FJM. But god do I hate Birdie and Leaving LA. I think it's the combination of the soft, drawn-out feel of the songs and FJM's always-wailing vocal delivery that really grinds me. However, the tracks after that are all alright. The lyrics are pretty good (insightful and pretentious), and the music is pleasant enough. All of the tracks are at least good, but there are only a few tracks I would go out of my way to listen to. My first few listens I was bored. Then I was like this is amazing. Then I was like this is amazing but would be even better at 10 tracks (like top 100 material). Some tracks fall flat, even after multiple listens over a few months. I think had he put just 30% more effort into the arrangements, it'd be a masterpiece. He relied a bit too much on the lyrics, as great as they are. I want to put this album on the same level as Beck or Paul Simon, but idk... it's just not there yet. Still roughly a 87.3 (I may have rounded a track or two up higher than deserved).